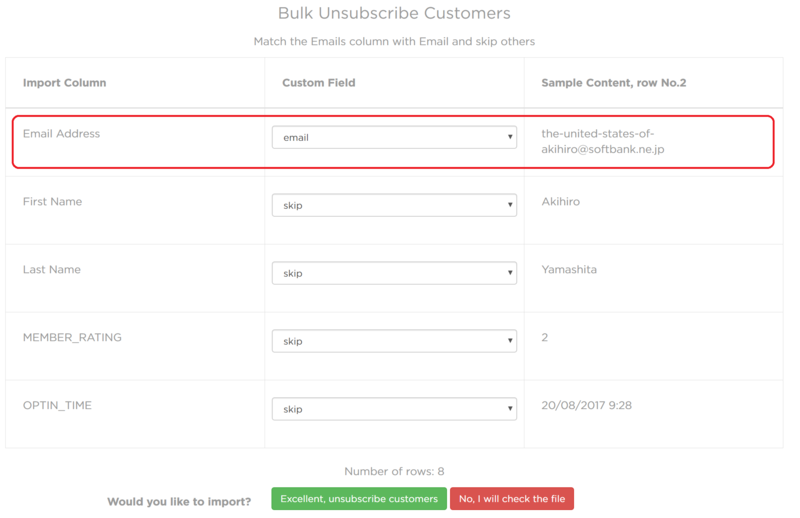 This happens because most other email providers don't send unsubscribes data back to your eCommerce platform, we do though! 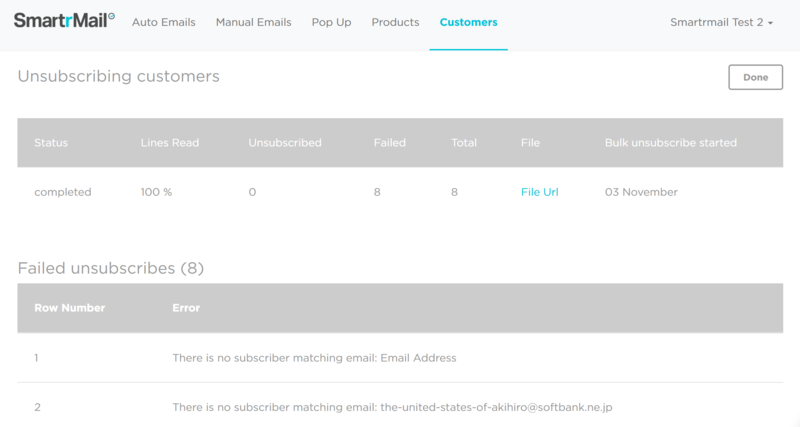 Upload .csv files with emails you want to unsubscribe. These can include: unsubscribed, cleaned, and non-subscribed members. Simply click Choose File, and after you've picked the CSV file, click upload and you should see the name of the file pop up. If you're on a Mac we recommend saving your CSV as a Windows CSV. Any failed unsubscribes will be listed at the bottom - these are typically invalid emails or emails that are not on your list in the first place so they cant be unsubscribed.